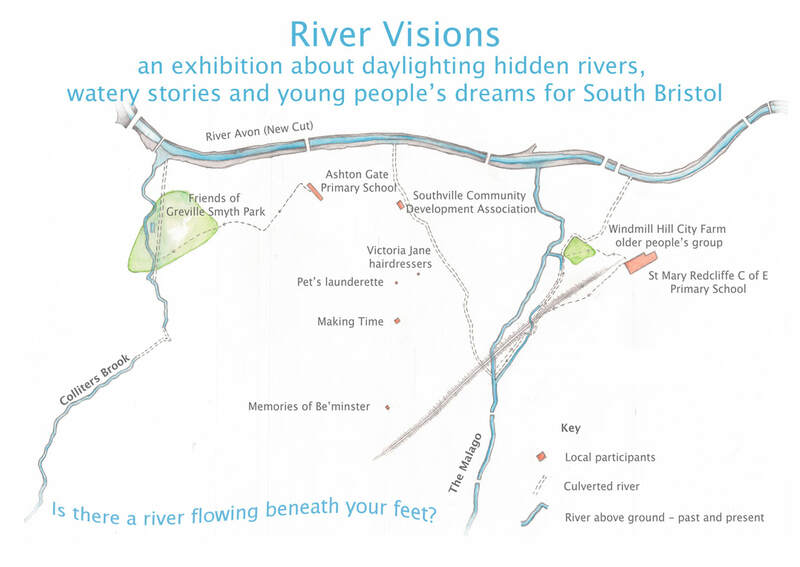 The Hidden Rivers Daylighting strand has produced a series of outputs which include co-created personal water memory maps; artists books responding to local waterways and stories; a digital map that shows the course of the project; the artist's project journals; and exhibitions and events where these materials have been displayed. 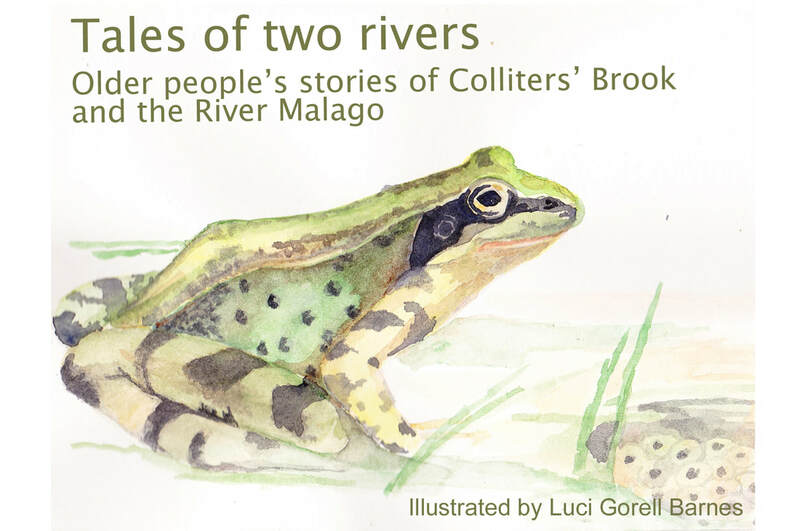 The commissioned artist in this strand was Luci Gorell Barnes; Iain Biggs was advisory artist/academic. 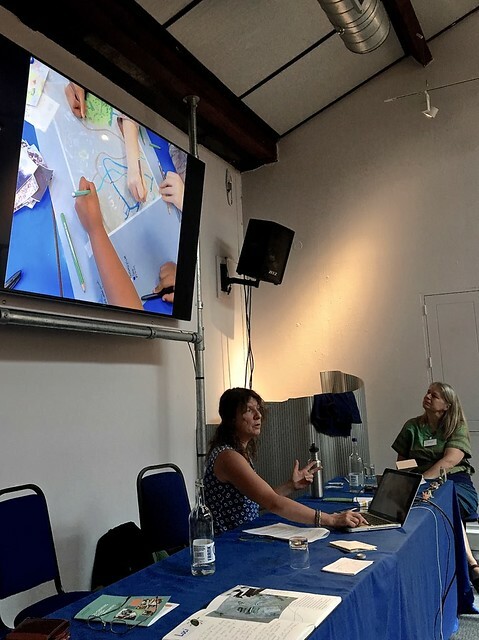 The academic research team was Professor Lindsey McEwen (UWE) and Dr. Katherine Jones (UWE). Helen Adshead worked as the community enabler and nature walk leader. 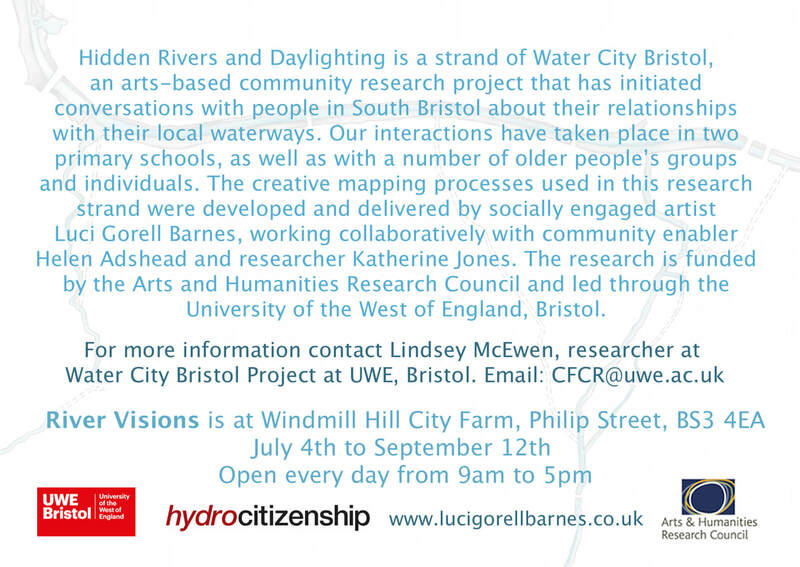 This is the invite/flyer for the River Visions Exhibition held at Windmill Hill City Farm, Bristol July 4th - September 12th 2017. 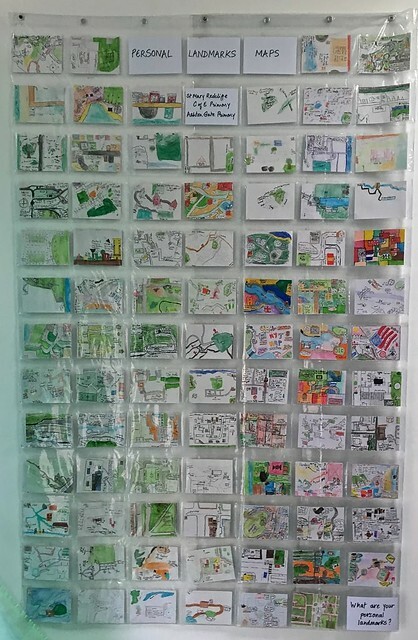 A PDF of all the maps made by the participants, at various events, is here.